There are a number of advantages to modern technology: a wealth of knowledge at our fingertips, the opportunity to connect with almost anyone, anywhere in the world. It opens doors to avenues that before we wouldn't have known even existed. However there are also a number of disadvantages: being too connected, the inability to switch off, properly socialise, or be attentive to any one thing for any decent length of time. 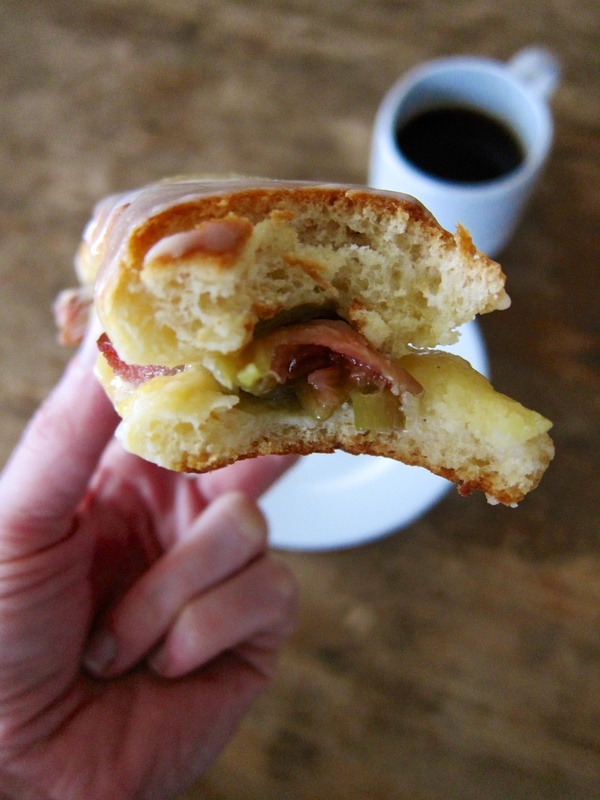 But perhaps worst of all is when you're scrolling through someone's feed and see something that requires your immediate consumption, only to discover that they're all the way over in Portland... Oregon. So as homage to all those beautiful bakeries I am yet to frequent, I give you: brioche Måurice. 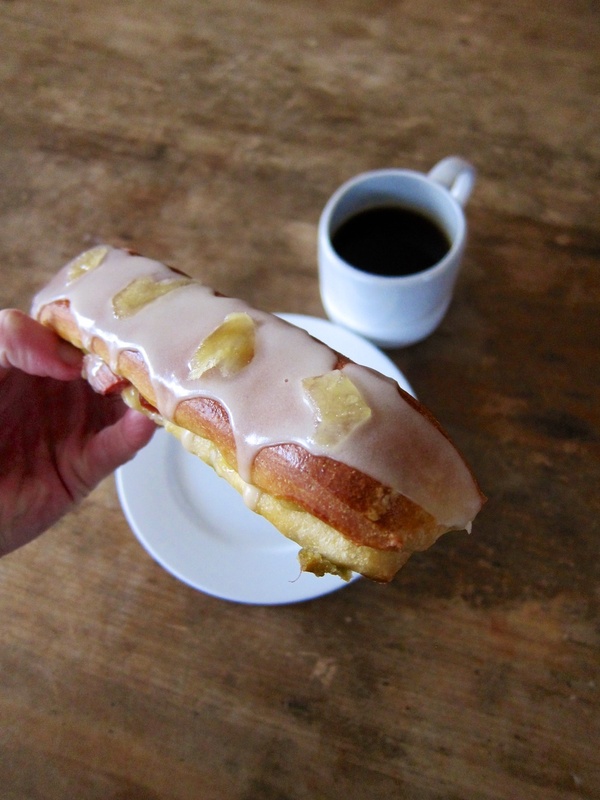 Inspired by a devastatingly beautiful little luncheonette called Måurice, my version of these gorgeous rolls involved a light and buttery brioche filled with ginger pastry cream and roasted rhubarb, and finished with a few slices of sweet and spicy candied ginger. Hello, breakfast! To make the brioche dough, mix together the sponge ingredients in the bowl of a stand mixer until combined, cover with cling film and leave at room temperature 30-40 minutes, until frothy. Add the remaining dough ingredients, except the butter, and mix on low speed for a couple of minutes, until combined. Cover loosely with a towel and rest for 10 minutes. Uncover the dough and knead on medium speed for 15 minutes, scraping down the sides of the bowl as needed. 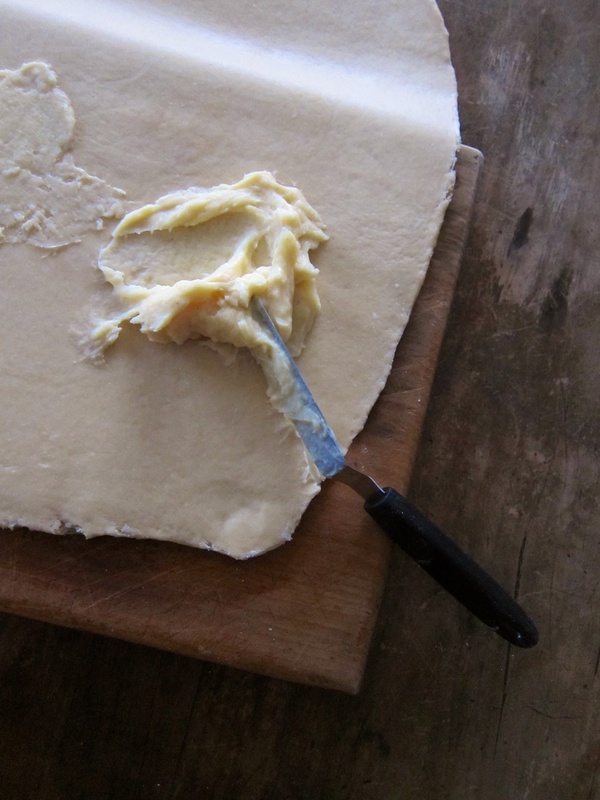 Work the butter to the same consistency as the dough and then add gradually to the dough, allowing each portion to incorporate fully, on low speed, before adding more. Once fully incorporated increase the speed to medium and knead for a further 5 minutes, until the dough is shiny, slightly sticky, and elastic. 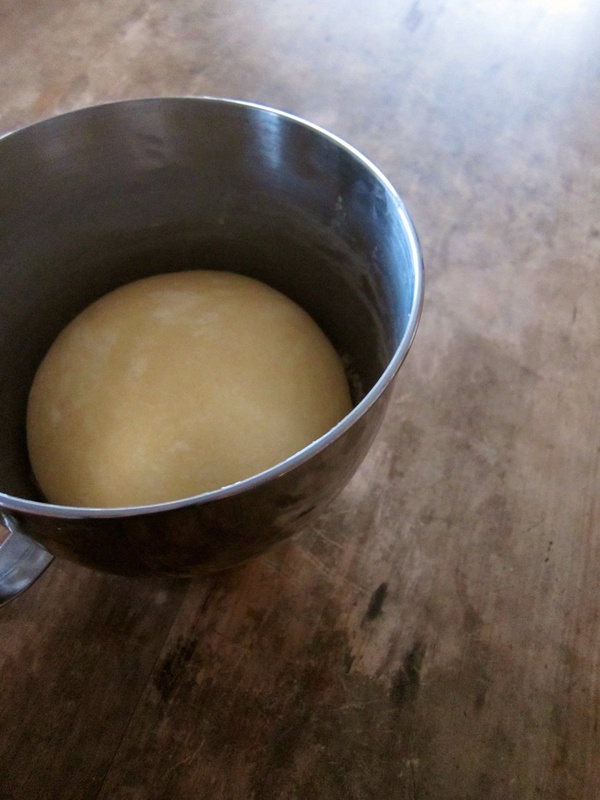 Transfer the dough to an oiled bowl and leave to ferment at room temperature 2-2.5 hrs, until doubled in bulk. Fold the dough and then refrigerate overnight. Meanwhile, prepare the fillings. For the fruit, toss the rhubarb and apple together with the sugar, zest and juice in a medium roasting dish, then cover with foil and bake at 180°C for 10-12 minutes, until just beginning to soften. Remove from the oven, keeping the dish covered, and leave to cool. To make the ginger-infused pastry cream, combine the milk, ginger and vanilla in a saucepan over low heat and warm until just beginning to steam. Remove from heat and leave for 30 minutes, to infuse. Return the milk to the heat, add the butter and bring to a boil. Meanwhile, whisk together the egg yolks and sugar, followed by the cornflour then plain flour. Strain the boiling milk over the egg mixture, whisking constantly to prevent it from scrambling. Return the mixture to the saucepan and whisk over medium heat, until thickened. Transfer to a bowl, covering the surface directly with cling film, and refrigerate until cool. For the candied ginger, place the ginger slices in a small saucepan and cover with water. Bring to a boil and let simmer for 10 minutes, then drain and repeat. After the second blanching, add the sugar and 100 ml water and again bring to a boil, simmering until the syrup reaches 106°C. Transfer to a bowl and leave to cool. 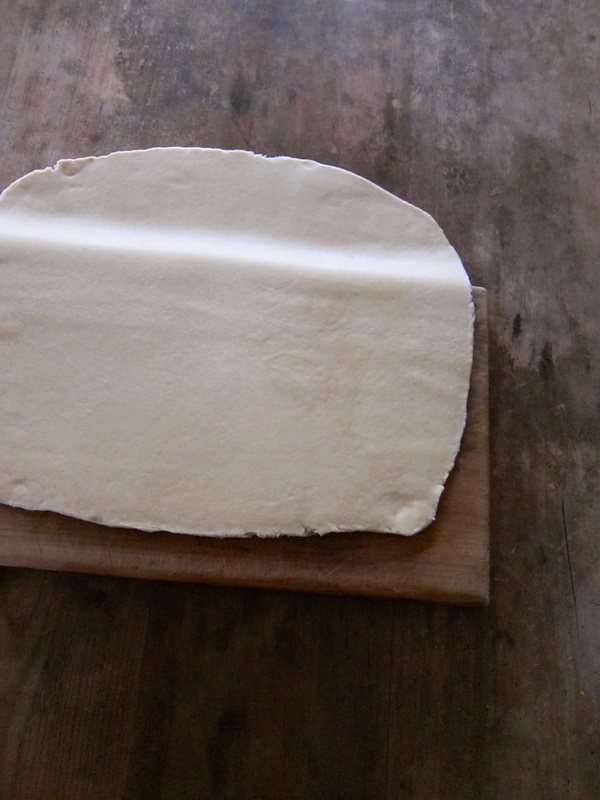 To assemble the brioche rolls, remove the brioche dough from the refrigerator and roll into a rectangle 4-5-mm thick. Spread the entire surface with ginger pastry cream and sprinkle the roasted fruit over half. Working from a long edge, fold the dough in half to cover the fruit and press lightly to remove any air pockets. Cut into rectangles 4-cm wide, place well-spaced on a lined baking sheet, cover loosely with a kitchen towel and leave at room temperature 2.5 hrs to rise. Brush the brioche rolls with egg wash and then bake at 190°C for 18-20 minutes, until golden. Transfer to a wire rack to cool. To finish, cover with icing made from 200 g pure icing sugar and the juice of half an orange and then dot with pieces of candied ginger.